When employed with the same intent in mind, display ads work to ignite the interest that drives search, making them a dynamic duo. The goal of any marketing campaign or ad is to achieve one thing: conversion in the form of action or direct sales. There are many ways to achieve this, with display ads and search ads being the most popular avenues marketers go down. Far from being mutually exclusive, display ads and search ads are most effective when they are used in tandem as part of a combined marketing strategy. In order to deploy this approach, it’s important to first understand the difference between display and search ads and how these differences can be harnessed to cover all your digital marketing bases. The defining feature of display advertising is usually the bold colours and imagery that differentiates them. Usually in the form of a banner ad, video or content display ads have risen in popularity and now account for 47% of total ad spending. The advantage of display ads is that they can be placed anywhere at anytime without the hassle of having to compete for keywords. The misconception surrounding display ads is that they function to achieve conversions, and while this may occur in some instances, the numbers usually remain low. Getting the most out of your investment with display ads is having a thorough understanding of the intent behind them. When a user views a display ad, they are not actively searching for something, therefore their intent is different to when they are actively searching for a product or service. This therefore means the chances of display ads being the cause of conversions is low and you not only need to rethink your expectations but find a task that more aptly suits its form. It’s more useful to see display ads as a valuable way to build brand awareness. While display ads don’t rely on behaviour in the same way search engines do, contextual targeting can still be deployed to strategically place your display ads. For example, placing a banner display ad about a travel deal your company is offering on a travel blog site is likely to garner the attention of the audience you are targeting. Implementing display ads for different purposes is key to combining them with search ads to achieve conversions. While some display ads may only function to build brand familiarity, others may be a lead magnet funnel that offers users a deal or special offer when they engage with the ad. This builds the bridge between brand awareness and conversions and offers the user an incentive to become a customer. Search ads work to drive the conversion home. With search ads the pace changes, as the user who sees your ads is already looking for your product, creating a sense of urgency. Search engines thrive off intent, partly the reason why keyword competition has become so rife. Search ads generate the biggest ROI, with Google estimating that advertisers make $2 for every $1 spent. That’s a double on their original investment. A tip for successful search ads is to implement a single keyword ad group strategy. This means you write ad copy for one keyword or a small group instead of writing hundreds of ad copies for hundreds of keywords. To compliment your search ads, try optimising your landing page as well and see if this increases your success. Helpful tools like crazyegg allow you to see how far users scroll down your page, and track the links they most often click on. Tracking user engagement with your landing page is crucial to making improvements that will ultimately optimise your conversions. Utilise A/B testing to assess the effectiveness of the changes and continue to modify. The point to employing both display and search ads is for them to work together to achieve a higher likelihood of overall conversions. 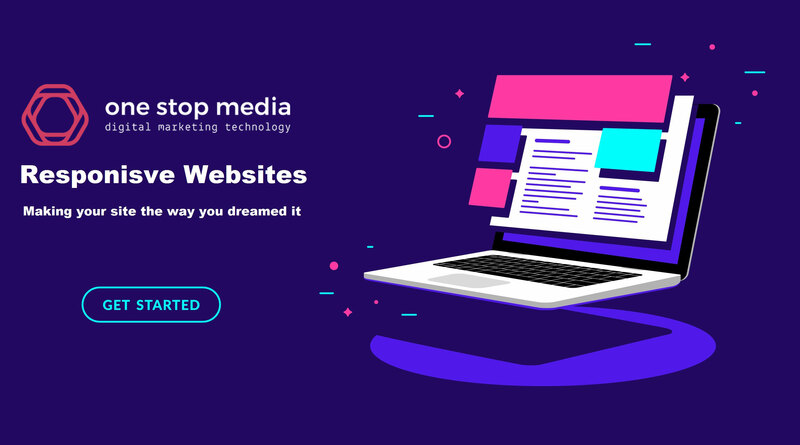 In the case of remarketing this probability is increased as it is focused around targeting users who interacted or shown interest in your product or site. An example of this kind of approach can be shown using Facebook’s Business Manager tool for display ads. This allows you to target a ‘lookalike’ audience that can be then fine-tuned by uploading a client or mail list to create a customer profile. By selecting a target of only 1% this ensures you are targeting a smaller audience size which is more likely to lead to conversions. This makes up your top of the funnel audience. A middle of the funnel audience is one based on website traffic. This will allow you to remarket your product or service with more content and engagement in the form of display ads. Facebook allows you to do this by entering the URL of your lead magnet page. The algorithm then creates a custom audience of users who visited that URL. Bottom of the funnel audience is one that is designed to convert quickly. You probably do not need to invest as much in converting these users as they are already interested or engaged with your business. This audience is customised by the frequency that they visit your site. This means that they be indecisive about purchasing your product and the display ad functions as a reminder about what you’re offering. This helps to reinforce the urgency that the search ads drive. 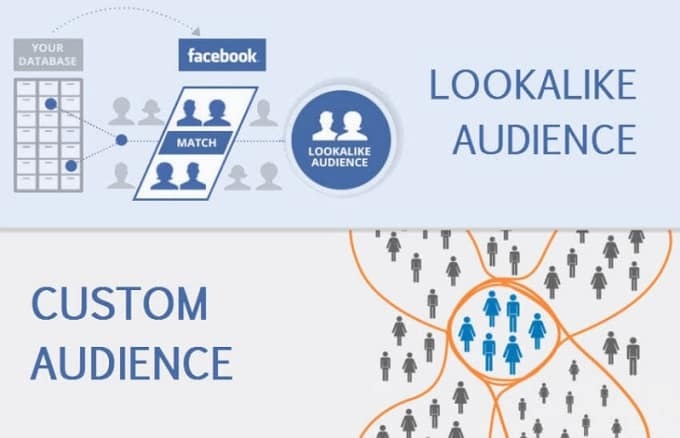 Establishing a connection between your business and audience is key to ultimately driving conversions. Using a strategic combination of both display and search ads will establish a connection with your target audience as well as positioning yourself as relevant to their needs. When used in the case of remarketing, display ads become especially integral to reminding the audience of your product or service and reigniting that interest to drive search engine conversions. Confused about how to implement a digital marketing strategy that is customised to the right audience using multiple advertising platforms? 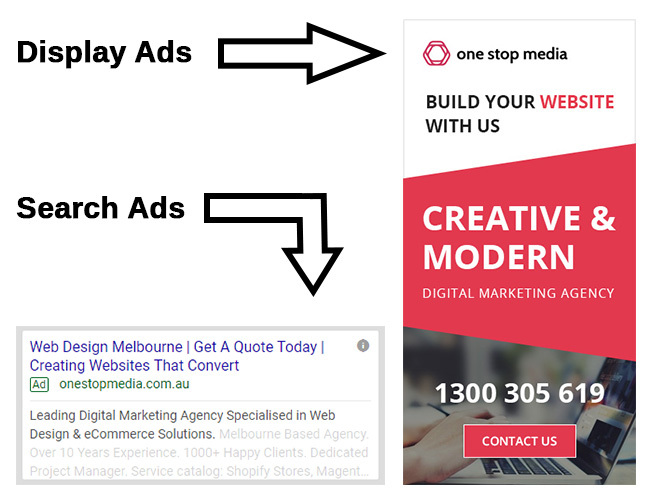 One Stop Media specialise in search and display ad placement and are dedicated to helping you get most out of your investments. Contact one of our experts today.